We will have another BUY and SELL Pop-up Shop at the Symposium. This worked very well the ISKA event on Portrane/Lambay. So, dig out all that great gear that you don’t use anymore and bring your items along for the sale. You might also go home with something you really need at half the high street shop price. Great bargains to be had! The weather forecast is looking great at the moment. 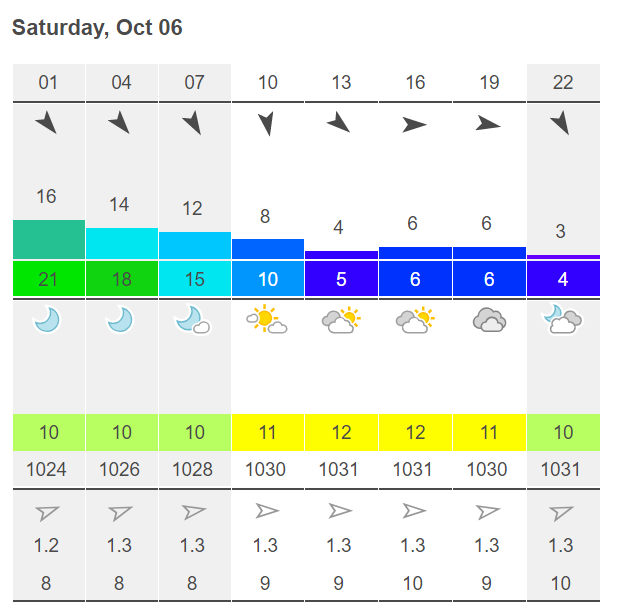 You don’t want to miss what is going to be a great weekend of paddling and craic. 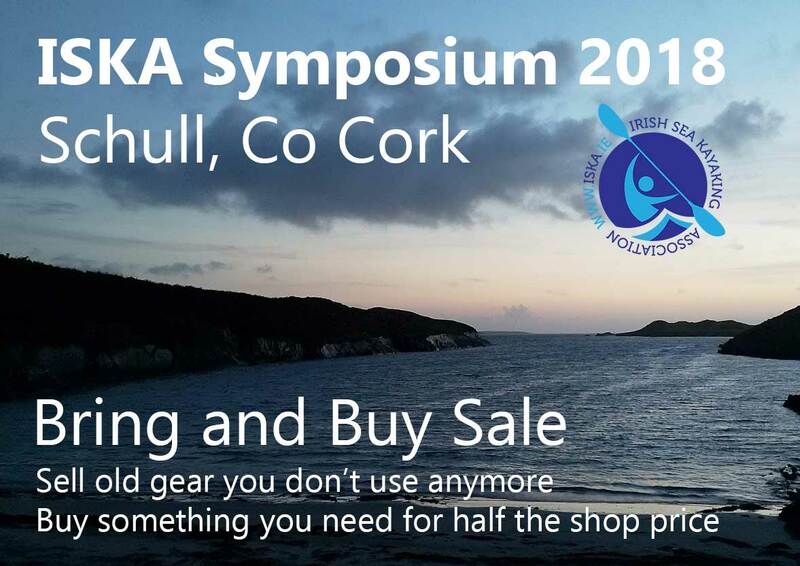 With special thanks to Jon Hynes of Kinsale OEC, we also hope to have a sea kayak orienteering event on the Saturday. The islands of Roaringwater Bay provide an ideal location of such an event. This will be a fun event for teams of three with spot prizes. If you happen to improve your map reading and navigation, that will be a bonus! 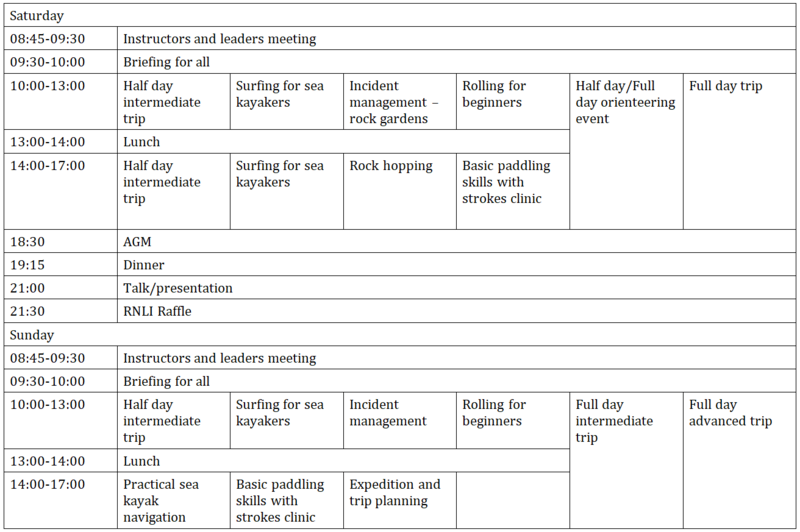 Please complete and return the BOOKING FORM to reserve your place. 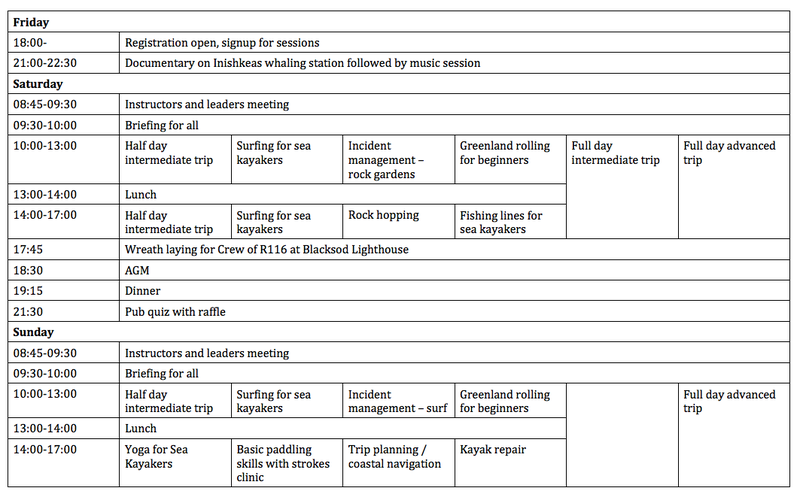 See booking form for payment details. If you have any questions, email iskasymp@gmail.com. 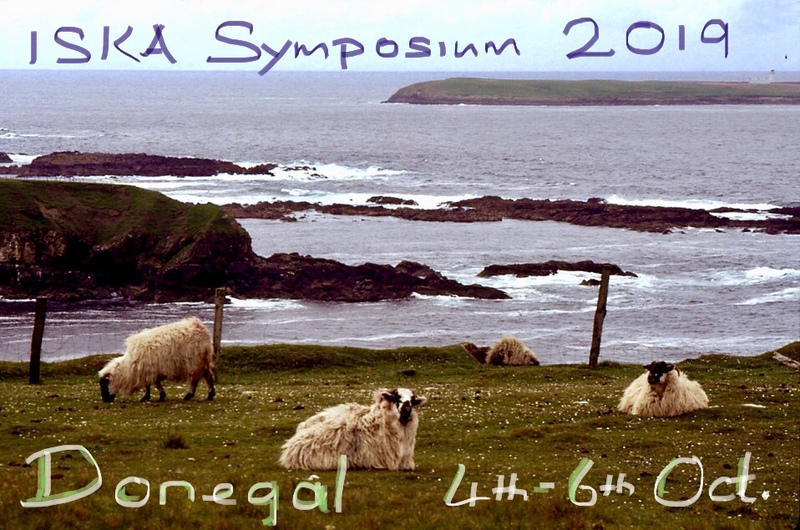 If you are considering attending the Greenland rolling sessions at the symposium, remember to bring suitable head gear. A neoprene hood would be handy and swimming goggles or a mask. The sessions are being held in the sea and not a pool so dress accordingly. Members pursuing a CI L4/BCU 4* qualification will be able to claim up to 50% of the cost of their training and assessment with a maximum subsidy of €250 upon successful assessment. For 2017, the ISKA committee has set aside funding to subsidise a maximum of 20 ISKA members at CI L3/BCU 3*, and a maximum of 12 ISKA members at CI L4/BCU 4*. If you wish to claim a training subsidy, please complete the claim form and return it to the committee before the 31st December 2017. Have you booked yet? Places are filling fast. Please see the link below for the program we expect to run on the weekend. 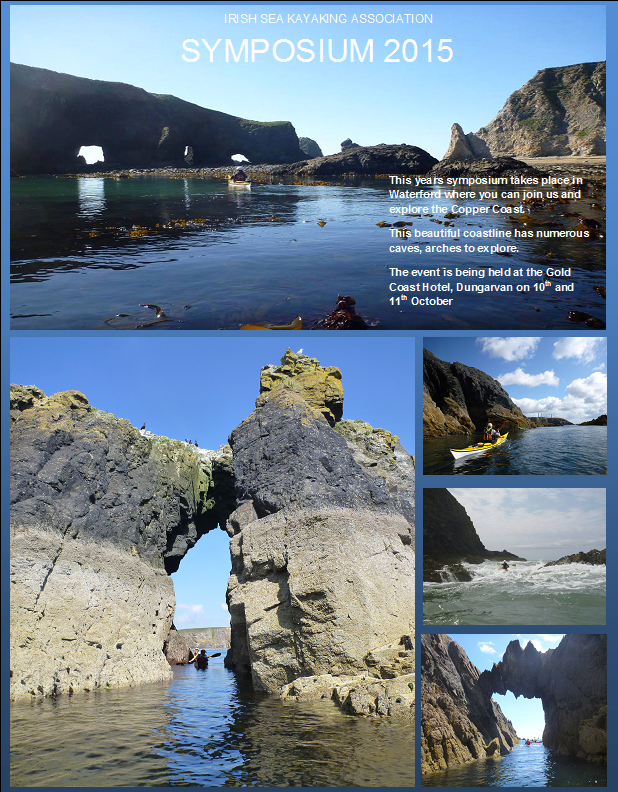 There will also be peer paddles on the 17th Friday and 20th Monday. We expect the weather to play ball ! And there are plenty of sheltered bays and headlands to catch a breather. 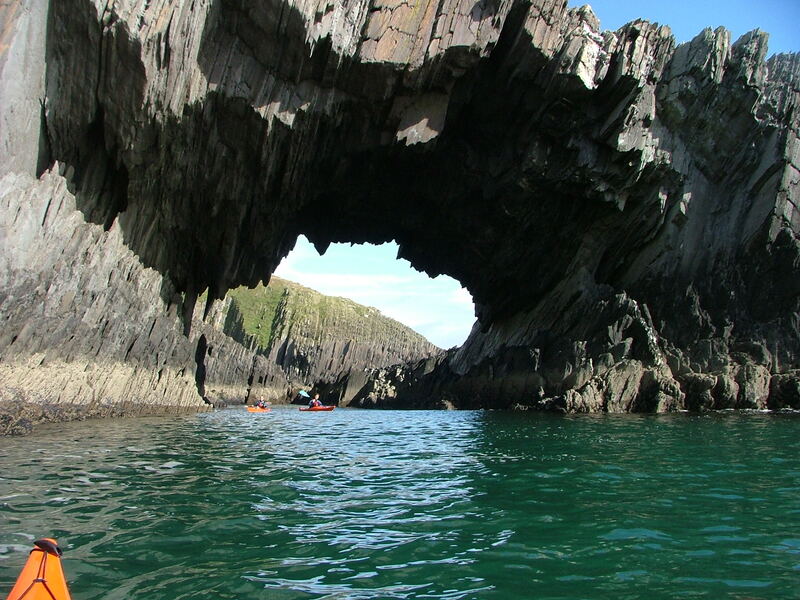 We’ve attached a couple of photos you might like, the Arch at Pointabullig, Cape Clear – taken by Seamus O’Mahony (see above) and Fastnet – taken by Sean Pierce. 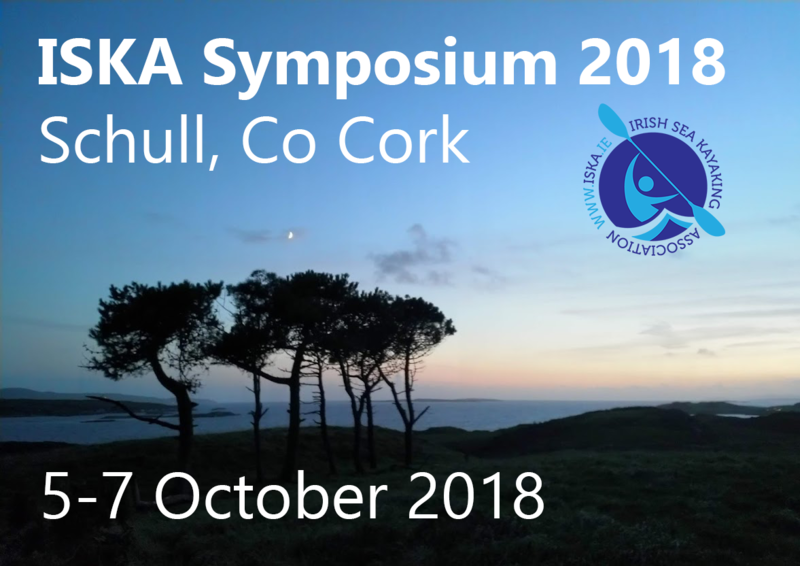 Hope you like our ISKA Symposium 2014 Poster, see link below (courtesy of Adam May). Please feel free to pass it on to friends who might be interested. 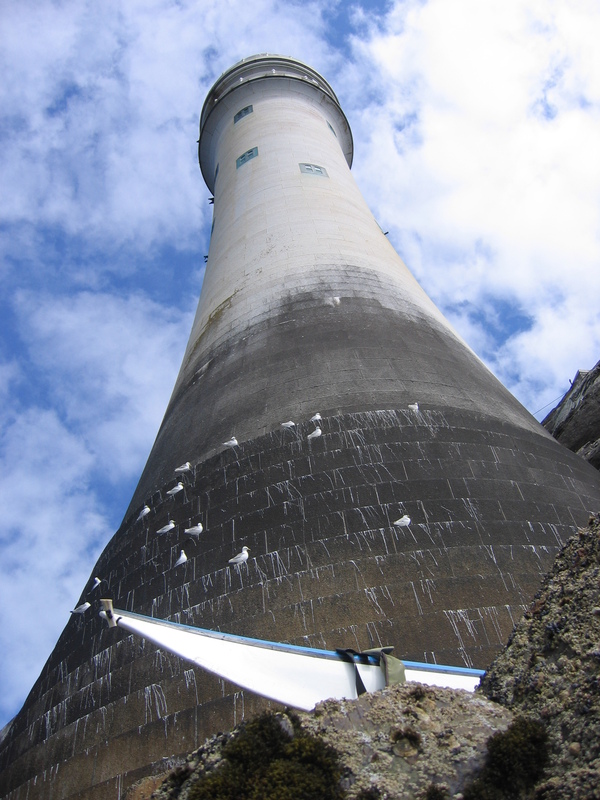 If you have any photos yourself of the West Cork area, we’d love to see them. Please send them on to us and we’ll post them on the ISKA facebook page.